Ajit Jogi and Gurdas Kamat have quit the Congress. How will it affect the party's fortunes? Is the Congress' much-awaited organisational reshuffle about to take place? The Congress desperately needs to expedite the long-awaited organisational reshuffle that has been on the cards since results for the five latest assembly elections were announced. The crisis caused by senior leaders Ajit Jogi and Gurdas Kamat quitting has only complicated the matters for the party, which has been on an "introspection mode" ever since the embarrassing defeat in the 2014 general election. Kamat's voluntarily resignation, in particular, has serious repercussions given that he is the state in-charge of Gujarat and Rajasthan. It is in these two states that the party's performance has been slightly better than others, and Kamat's exit could see a resurgent Congress loosing steam. Also read - RS polls: Congress joins forces with rival INLD in Haryana. To what end? The absence of a state in-charge, however, won't affect the Congress units only in Gujarat and Rajasthan. Shakeel Ahmed, a party general secretary in charge of Punjab and Haryana, has gone abroad to tend to his ailing wife and is not expected to return anytime soon. His absence could severely damage the party as it's reportedly facing a rebellion in Haryana, and an election in Punjab. In Haryana, former chief minister Bhupinder Singh Hooda has raised the banner of revolt after the party decided to support INLD's RK Anand for Rajya Sabha. In these circumstances, the absence of the state-in-charge is likely to worsen the crisis. "In Shakeel's absence, the Congress has no one who can speak to the legislators on behalf of the leadership or vice versa. With crucial elections around the corner and reports of rebellion simmering, the party is staring at a crisis," said a senior Congress functionary, adding that the likelihood of the party appointing an observer is being discussed. "The decision should be made by tomorrow." The Northeast too has been without an in-charge since V Narayanswamy decided to run for the chief minister's post in Puducherry. He finally took oath as chief minister on 6 June. This is despite the Congress witnessing multiple rebellions in the states that are under its rule in the region. The party has already lost Arunachal Pradesh to rebellion, and revolts have reportedly been brewing in Meghalaya and Tripura as well. "With BJP aggressively pursuing its agenda of Congress mukt Northeast, the party has to appoint someone at the earliest to avoid an Arunachal-like situation. But we need someone who understand Northeast, someone unlike Narayanswamy," said a party leader. This leader added that the ambiguity over the decision to go for a reshuffle has put a stop to all strategies and programmes planned for states that are going to polls next year. Citing the example of Uttar Pradesh, he said the party's in-charge of the state Madhusudan Mistry is not even sure if he'll continue to hold the charge after the reshuffle. "Let the decision be made so the party can start working on strengthening its base, especially in UP. If Mistry or state president Nirmal Kahtri have to be sacked then be it, give charge to someone else. Start working on the ground. We can't make these changes just before the elections. This delay will only hurt the party," the leader argued. Meanwhile, party insiders claim the decision on the reshuffle is likely to be taken at the next Congress Working Committee meeting, which is expected to be held soon. Even Rahul Gandhi's elevation as president may take place at this meeting. A Congress leader said the date of the CWC meeting would be announced once the Rajya Sabha elections are over. This meeting will be followed by a Chintan Shivir, or a brainstorming session, most likely in Bangalore. TWEET THIS Ajit Jogi and Gurdas Kamat have quit the Congress. How will it affect the party's fortunes? 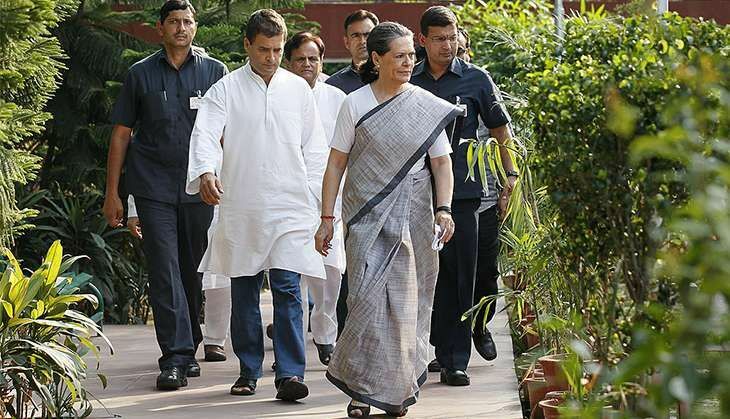 Is the Congress' much-awaited organisational reshuffle about to take place?